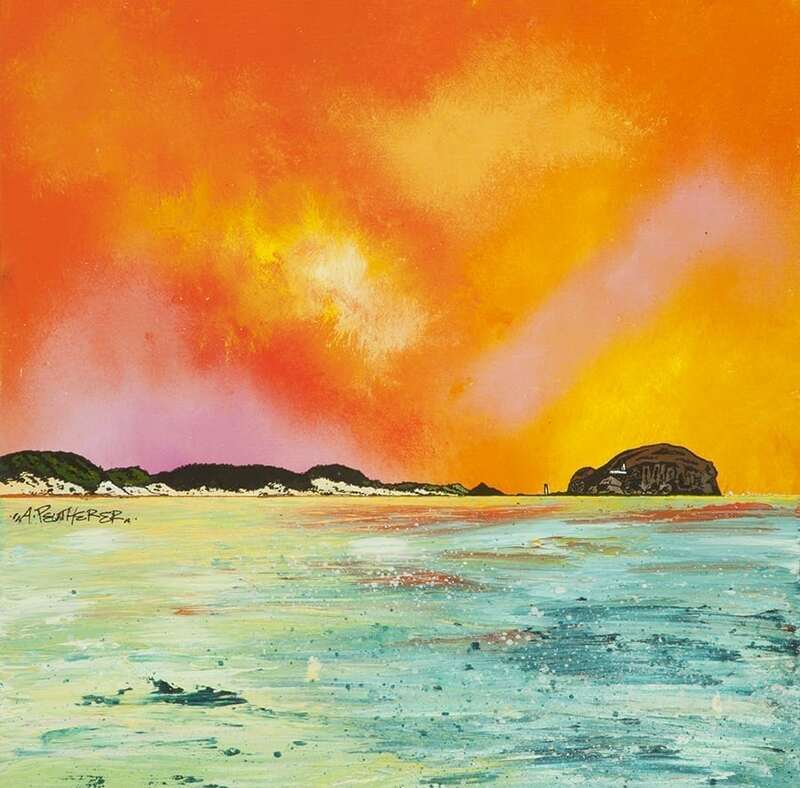 An original painting and prints of Sunrise Over The Bass Rock, Dunbar, Scotland. Paintings & prints of the Bass Rock from Dunbar, East, Lothian, Scotland by Scottish artist Andy Peutherer. Edinburgh Paintings & Prints - Sunrise Over The Bass Rock, Dunbar, Scotland.